Enterprise believes that opportunity begins when people have a safe, stable and affordable place to call home. It grows with access to jobs and transit, education, and quality health care. Each year, Enterprise Community Loan Fund invests in research to better understand how our work is helping to transform lives and revitalize communities. The following impact case studies illustrate the magnitude and variety of benefits that our work helps to create. This is our Social Return on Investment. This year, their impact case studies feature projects that respond to the specific needs of vulnerable and low-income populations. These projects create opportunity, stability, and vitality for underserved communities and individuals in need. 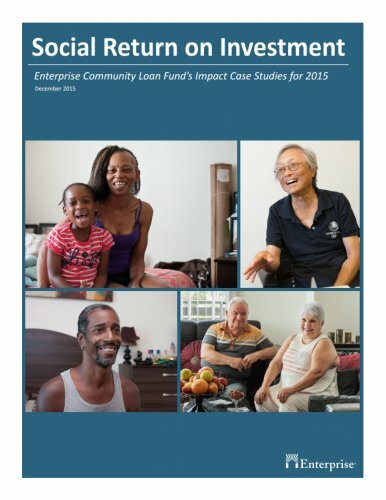 Enterprise Community Loan Fund is a national Community Development Financial Institution (CDFI), financing affordable homes, schools, health centers, and other developments that support low-income communities. CDFIs connect capital to communities by investing in people and projects not served by traditional financial markets.